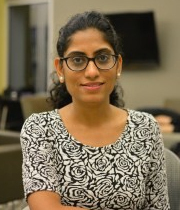 Monika Arora defended her Ph.D. thesis in Computational & Applied Mathematics from Old Dominion University, Virginia, USA in May 2018. She did her M.Sc. in Applied Statistics and Informatics (ASI) from Indian Institute of Technology (IIT), Bombay, India in May 2011. After her M.Sc. she worked for two years as a lead scientist in statistical modeling at a start up incubated by IIT-Bombay. Her current areas of research are count data and statistical modeling. She works on univariate and bivariate count models which are applied in various fields, e.g., health science, travel, insurance and ecology. Her research involves both theoretical and computational techniques to develop the models. She uses statistical softwares like R and SAS for her research.